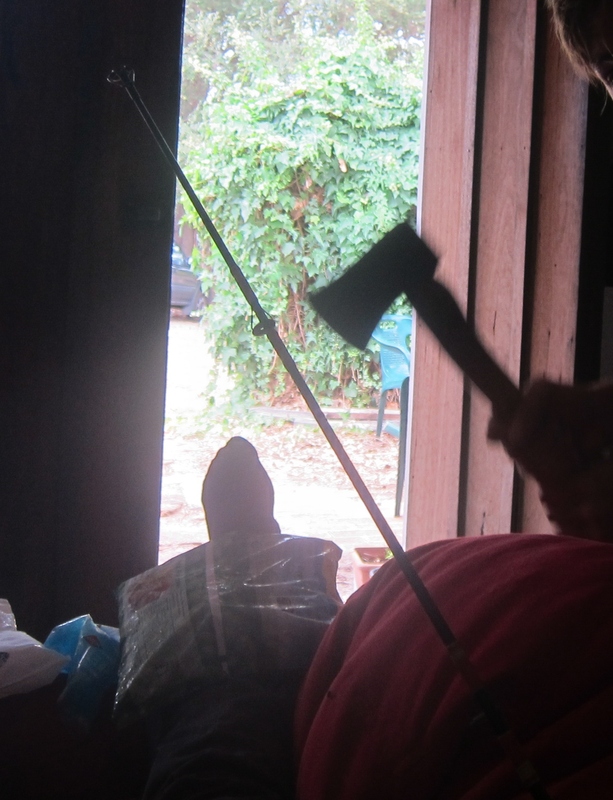 The inevitable has happened: I’m on crutches. It’s not broken, just a bad sprain involving a vigorous jump and a bad landing. After 2 days on the couch, I am hobbling around and wishing I could just do a pumpover. But while we’re on the subject – what pumpovers? What punch downs? We have maybe 3 a day – or, the team does since I’m temporarily out of commission. And what fruit? We’ve got all the whites in barrel and nearly or completely sugar dry. We’ve got one malolactic fermentation going. 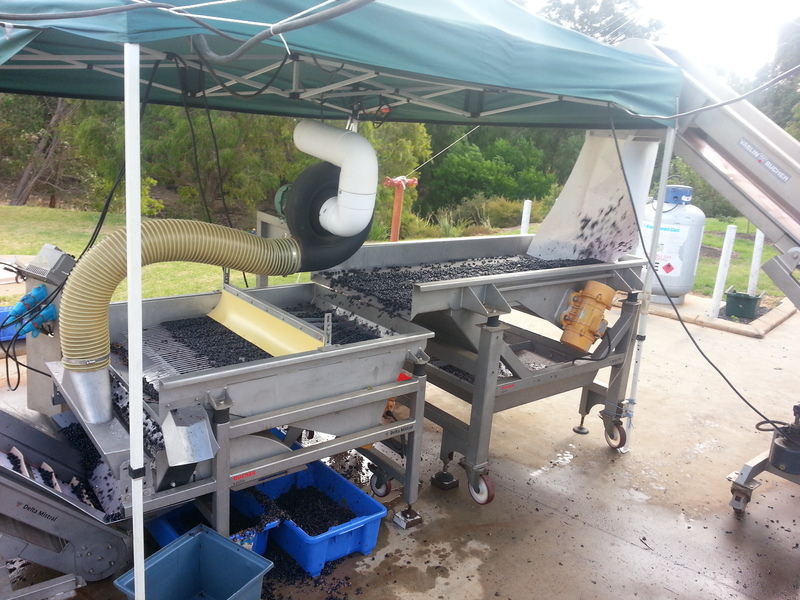 We’ve pressed a tempranillo and a shiraz and we’ve sulfured our off-dry muscat. That leaves 5 red tanks, with most of the red fruit still out on the vine. The whites are all strong and promising. The red fruit and ferments taste great but the weather has been atypical. After a cool early summer, the heat wave that started vintage turned into a warm, steady glow that kept the fruit coming. We had a couple of hectic weeks and I was settling into night shift. And then it got pulled out from under me. We don’t even have a night shift right now. a pick. the energy couldn’t be more different from a CA pick. the labor is provided by backpackers – young kids, mostly. 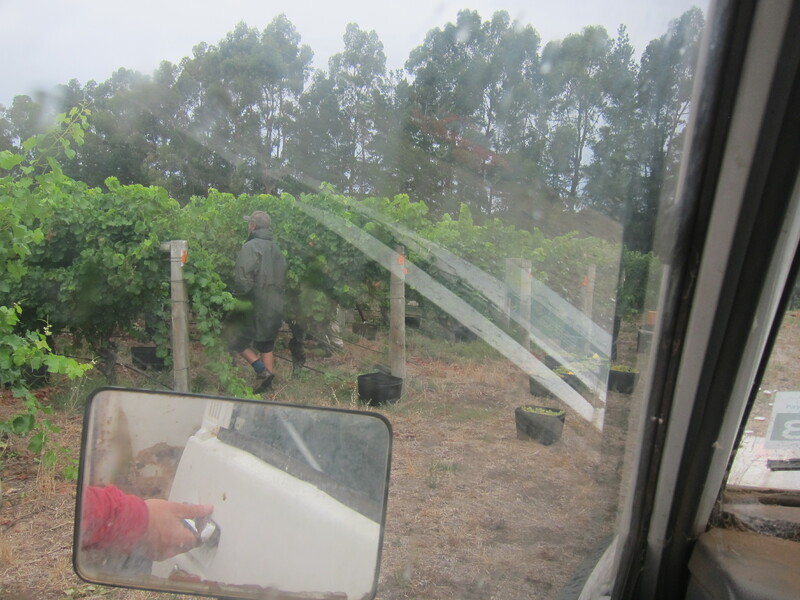 “bucket boys” (and girls) lay out plastic bins that can hold up to 10 kilos of fruit before the pick, leaving them beneath the vines at intervals. the pickers fill them and leave them in the rows, to be picked up by the bucket boys at the end of the pick. forgive me for saying so, but I’ve been shocked by the pace. there’s so much standing around and to and fro. just pick the stuff already! Here’s the thing: yields are down. The cool weather and the hail and wind at flowering has limited the crop, somewhere in the realm of 20-30% for most people. Unlike in California in 2011, this smaller haul isn’t entirely a bad thing. Australia has a history of over-cropping and over-producing wine. If you hadn’t noticed, cheap Australian wine has been flooding the domestic and world market for the last decade and the premium and super-premium wineries have also been spread far too thin. The Australian wine industry has been getting in its own way. Years and years of high-volume production isn’t sustainable for market success or wine quality. Consumers can get so much wine from so many places that they’re liable to focus on the second-tier, cheaper labels that most boutique wineries have. And the chain liquor stores in Australia have capitalized on the massive supply of mid-range wines and have effectively made it appear to be the only wine in circulation. Too much supply and too many products that aren’t distinguishable to most consumers result in the kind of demand that is useless to many producers. 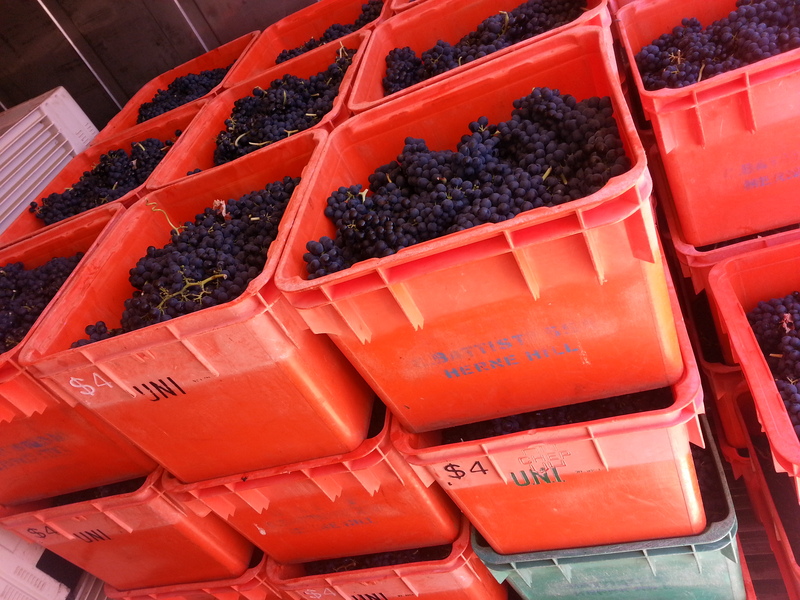 Beyond market factors, vineyard abundance does not necessarily translate to grape quality. In most winemaking regions of the world, the practice for the last century has been to limit vigor to enhance quality. Stress to the vines – ie, sun exposure and limited water supply – force them to go into survival mode, which produces some of the physiological effects in the plant that give rise to great aromas, flavors, and structure in the wine. Furthermore, it makes sense: if all the nutrients in the soil go to fewer grape clusters, each berry is better off. If you combine this with judicious irrigation or none at all, you have a strong vine that isn’t overfed. Like a well-adjusted child, it has all the attention and support that might otherwise be spread amongst a large family, but it isn’t spoiled and must still be independent. So Australia could use a bit of lowered yields to bump their best wines into even better position and help their market recalibrate to a healthy level. No one seems too upset about the lowered yields, since quality is generally up. It’s just the cellar rats who are looking at their time sheets. our red sorting line in full operation – the shaking table leads to a Mistral sorter, where a fan hits the berries, blowing away the lighter stuff which tends to be undesirable: raisins, stray stems, seeds, damaged berries, etc. One person (usually me) can operate the whole crush pad on their own, which is impressive. The jury’s out on how the reds will proceed. The long, sustained heat finally tapered off into milder weather and suddenly some much cooler temperatures and rains. We’ve got high sugars in a lot of the remaining cabernet, shiraz, and merlot as a result of the heat but we don’t quite have flavor ripeness. Seeing the cooling trend, we cancelled all our picks and are hoping that some cooler days will advance the flavors a little more without advancing the sugar. That’s the gamble we’ve taken.